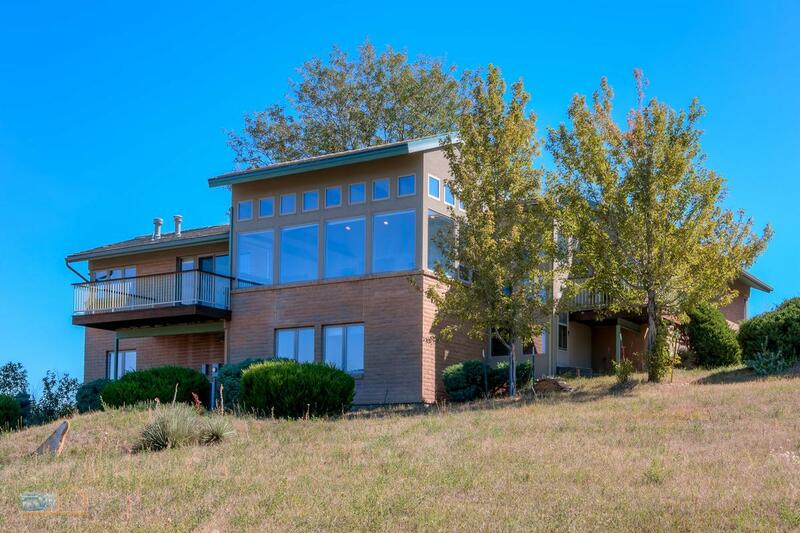 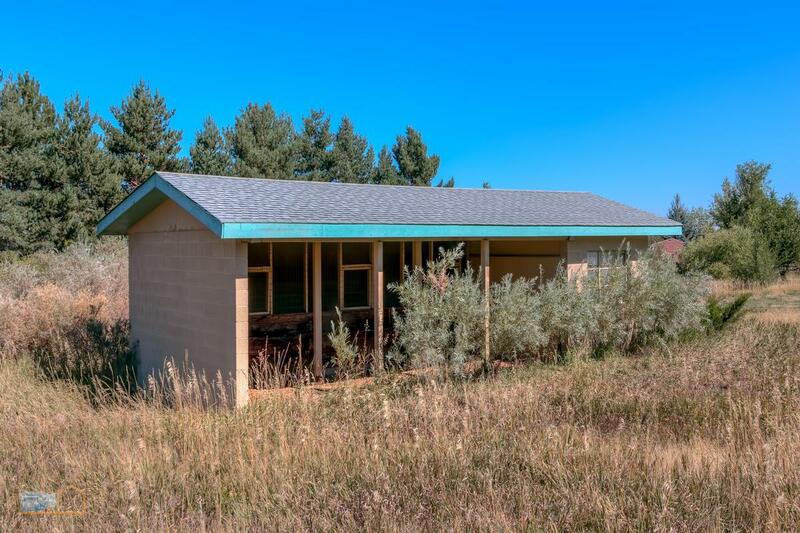 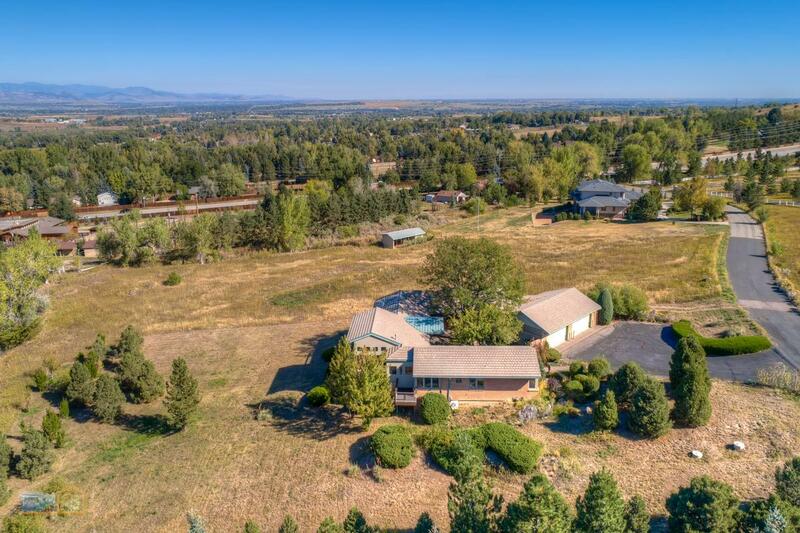 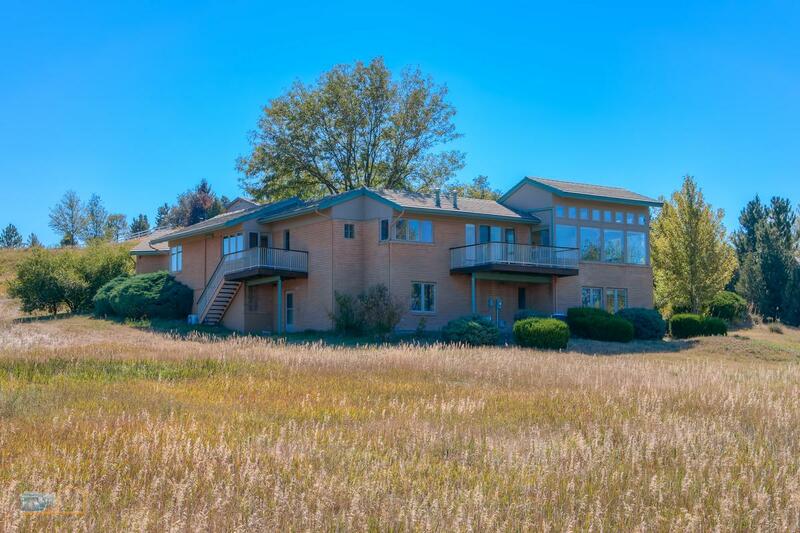 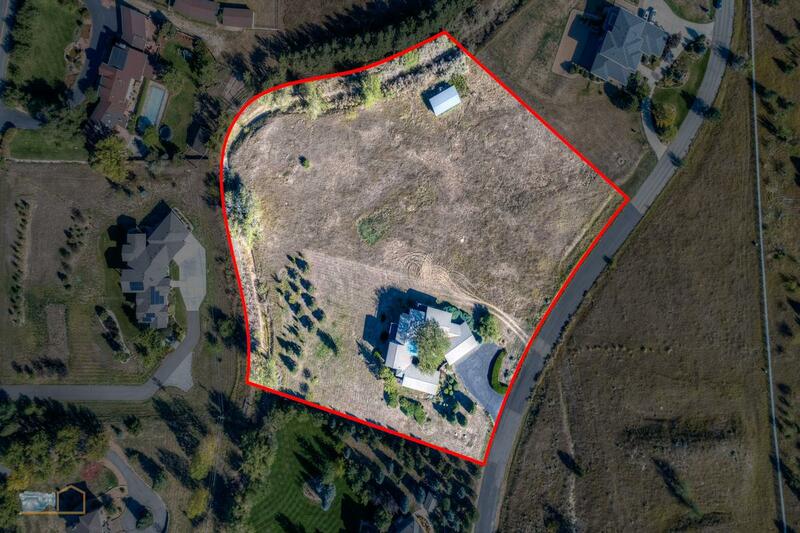 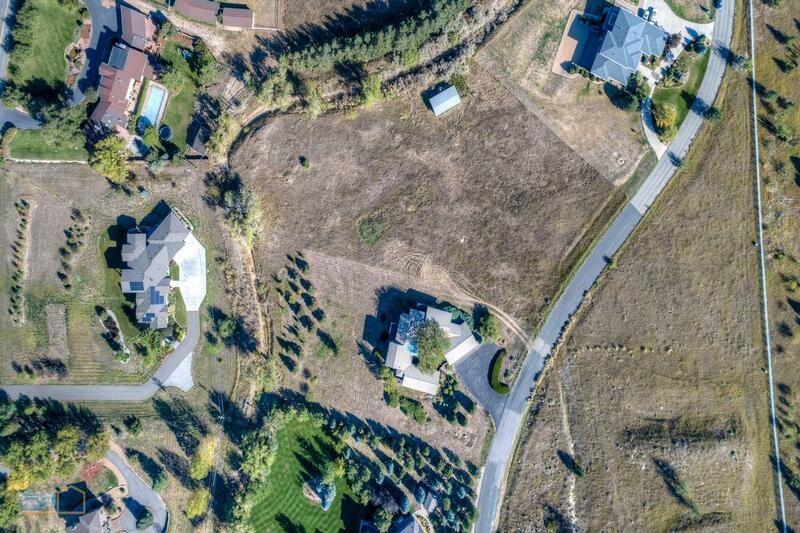 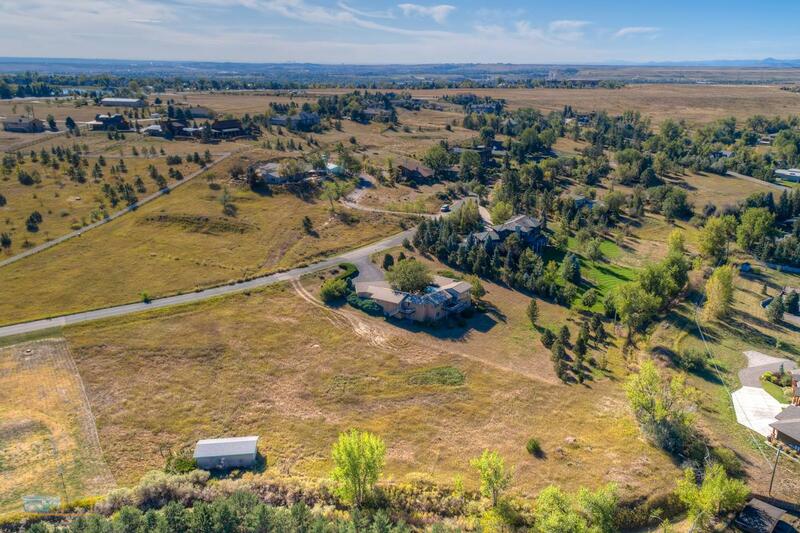 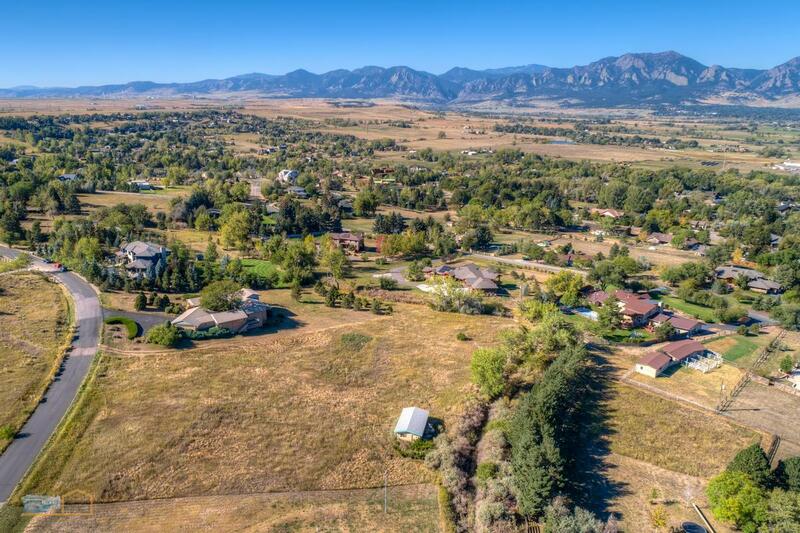 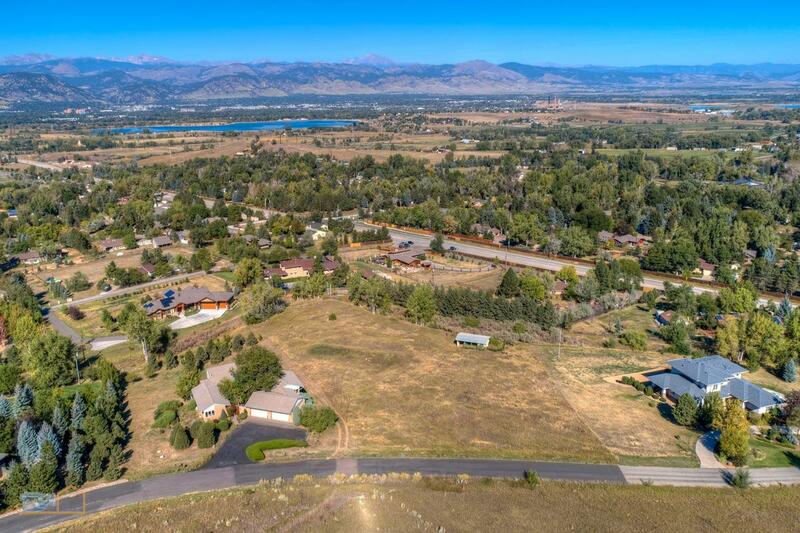 Welcome to 281 Ponderosa Drive, located just east of Boulder on a view 3-1/2-acre site on the road up toward Louisville. 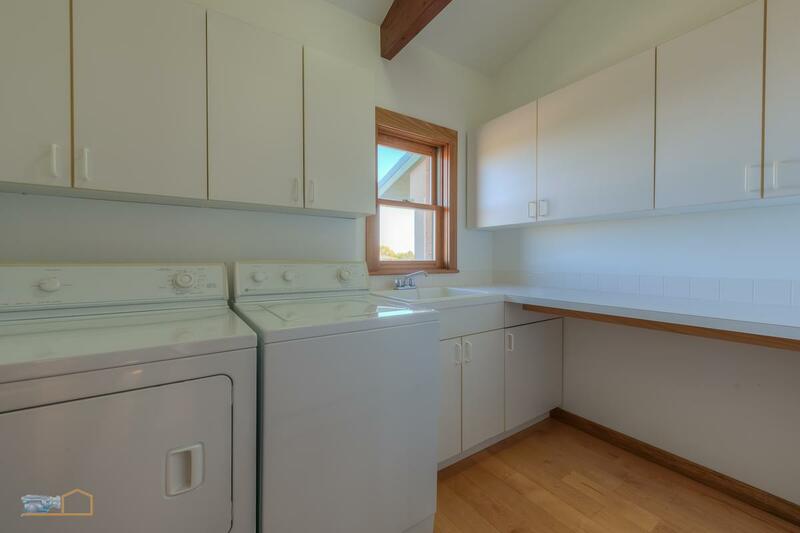 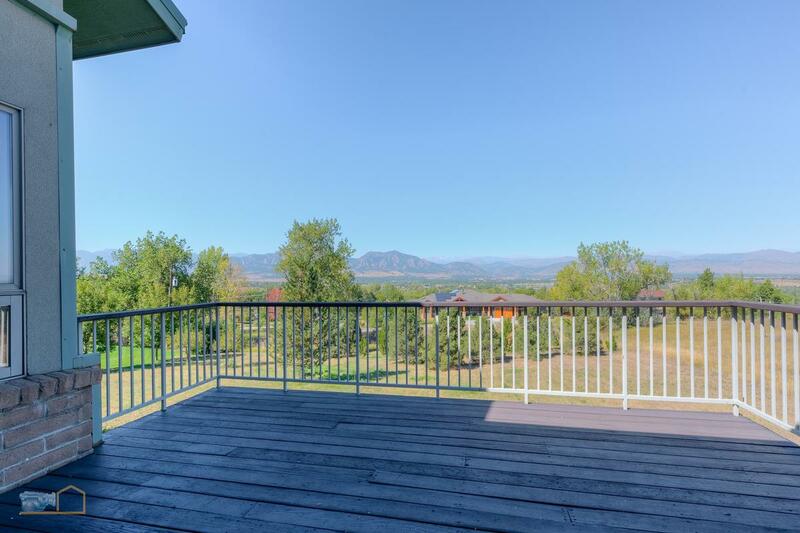 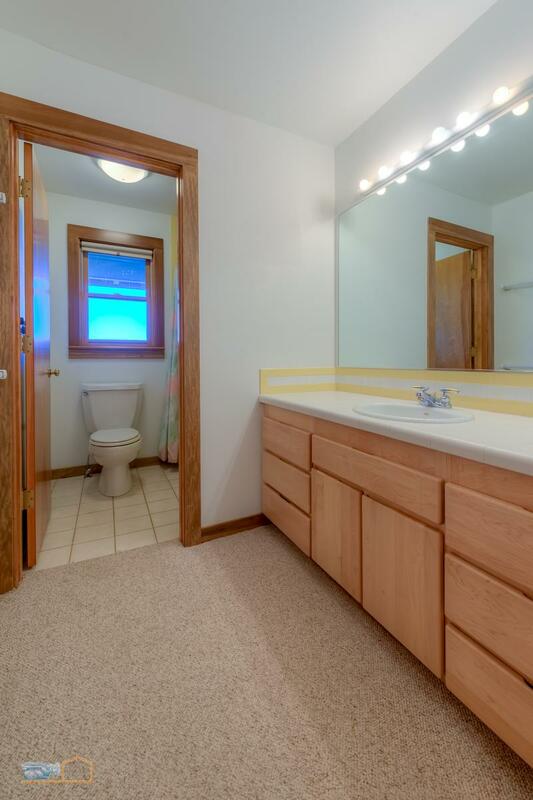 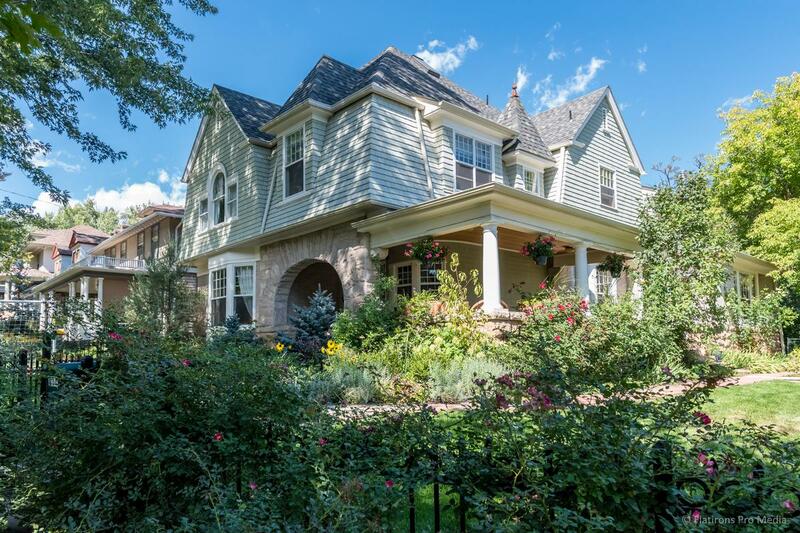 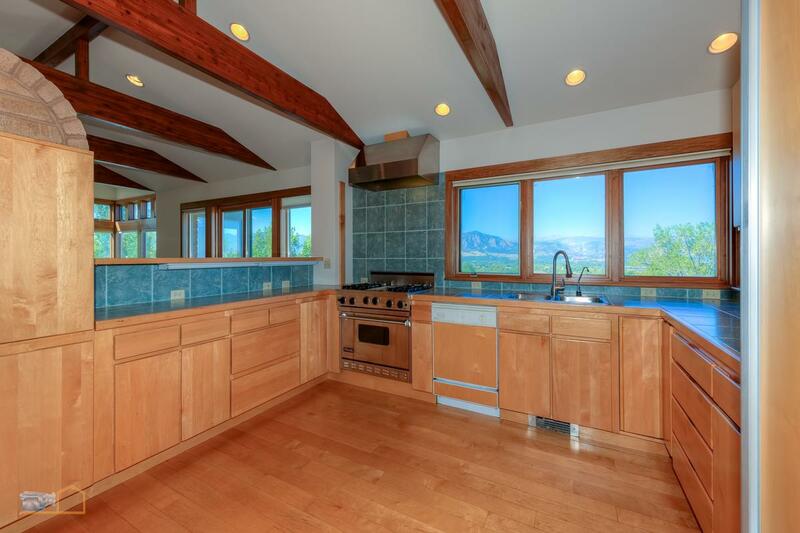 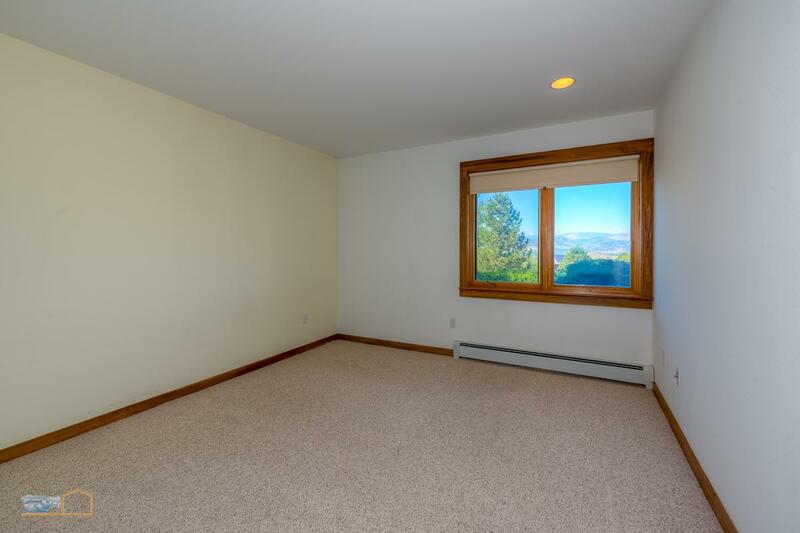 The views are straight into the mountains and overlooking the city of Boulder. 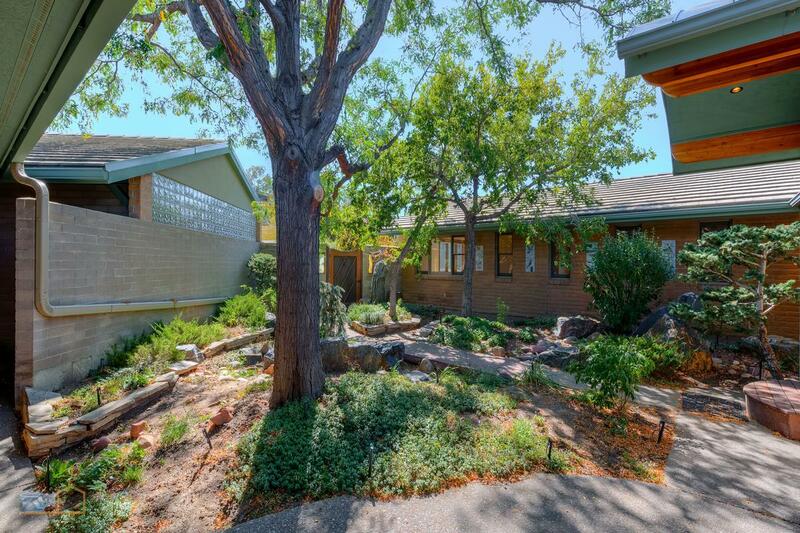 As you walk to the home, you pass through a wonderful, quiet courtyard entirely private from the outside world. 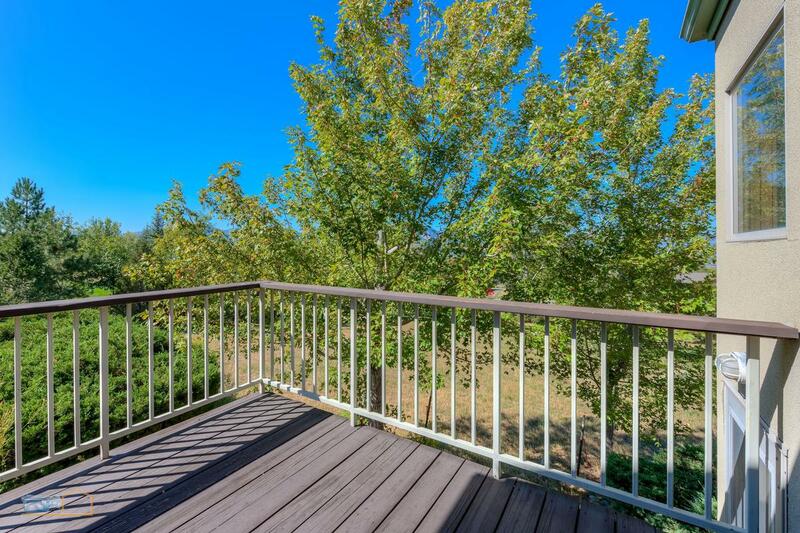 Shade trees and shrubbery, rocks and ground cover leave a feeling of sitting in the forest. 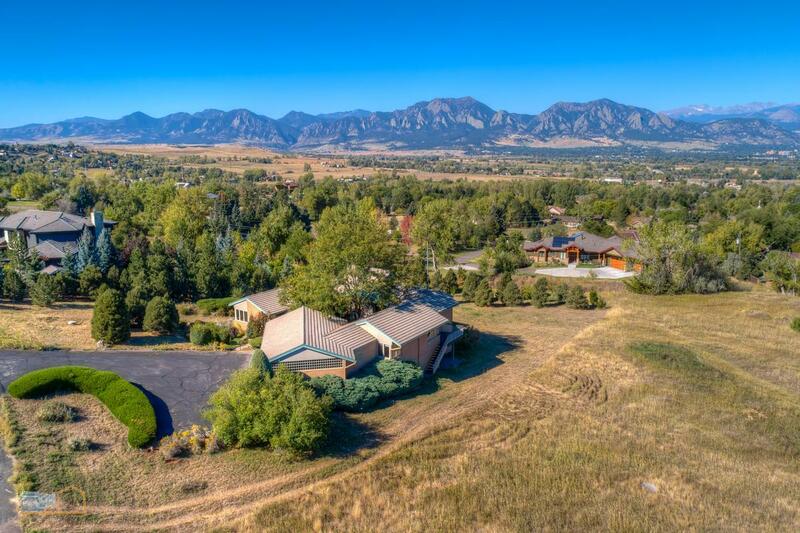 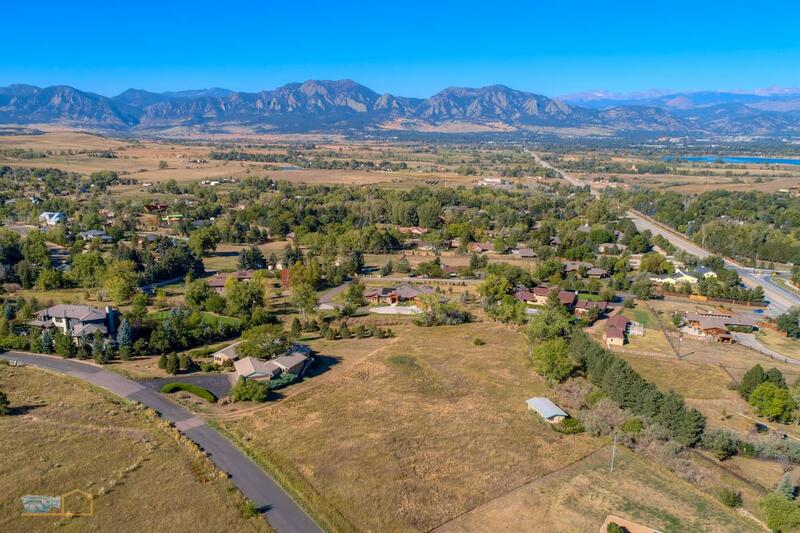 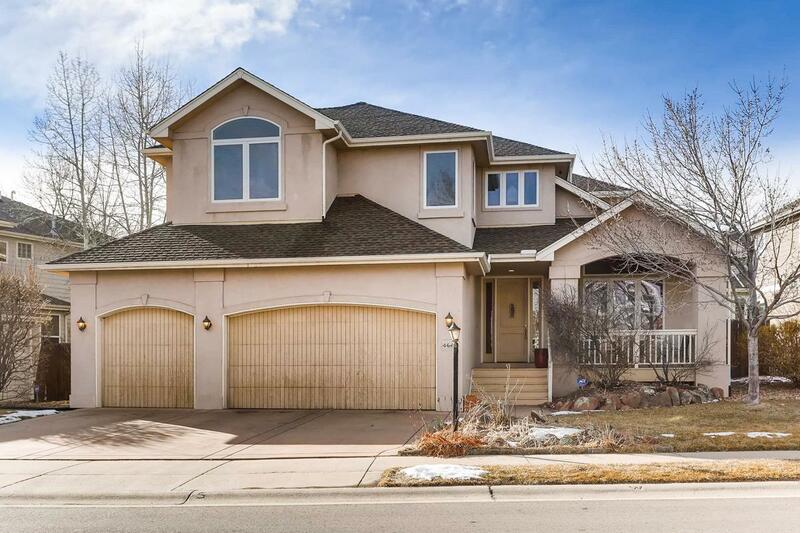 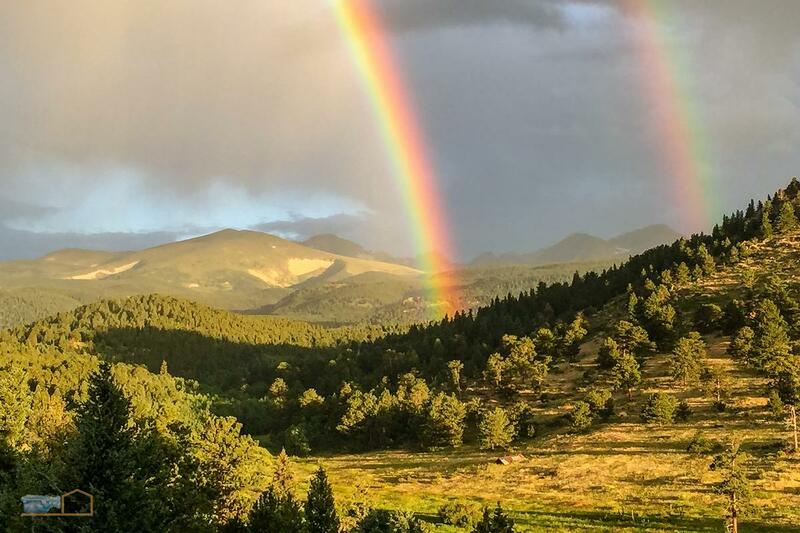 Through the front door, you enter on the living area with a warm fireplace, and wide-open views of the Rocky Mountains, Flatirons, foothills, reservoir and city of Boulder. 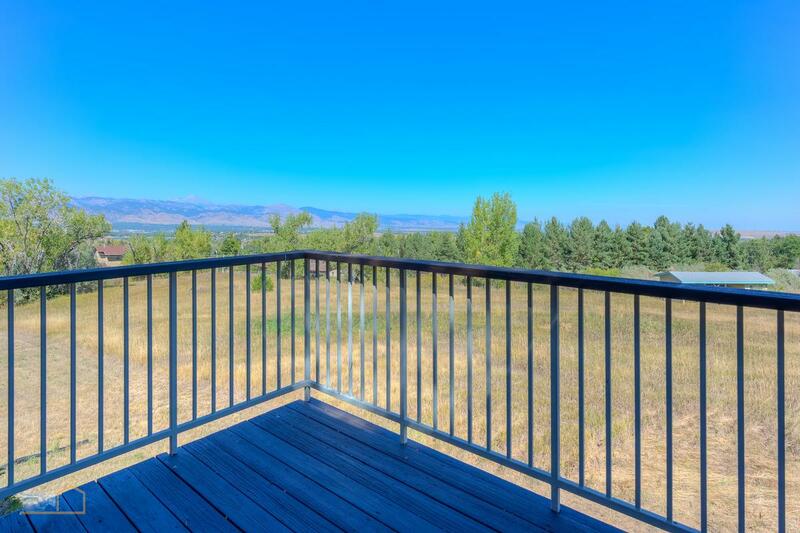 The raised deck is spacious enough to entertain. 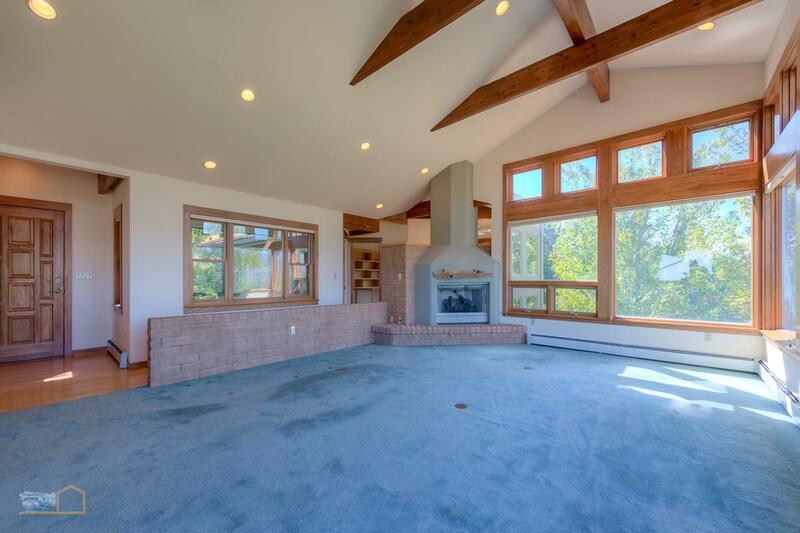 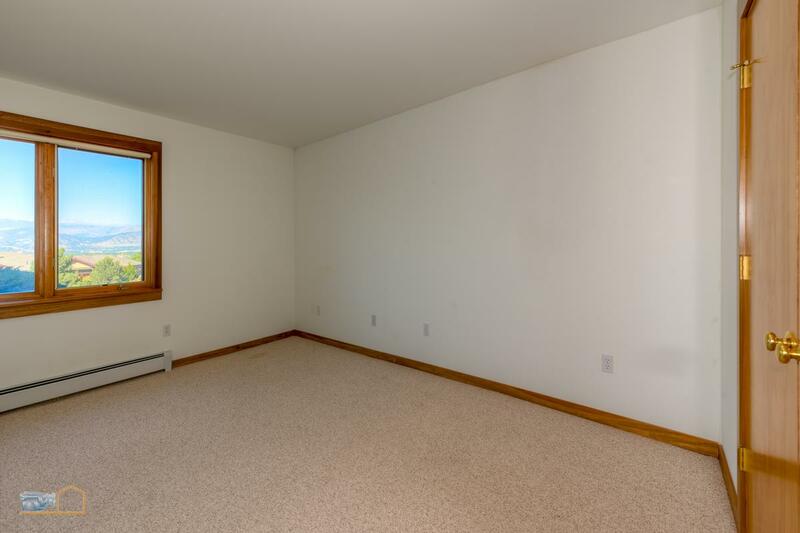 The living room area is adjacent to the dining and kitchen areas, where all the floors are hardwood. 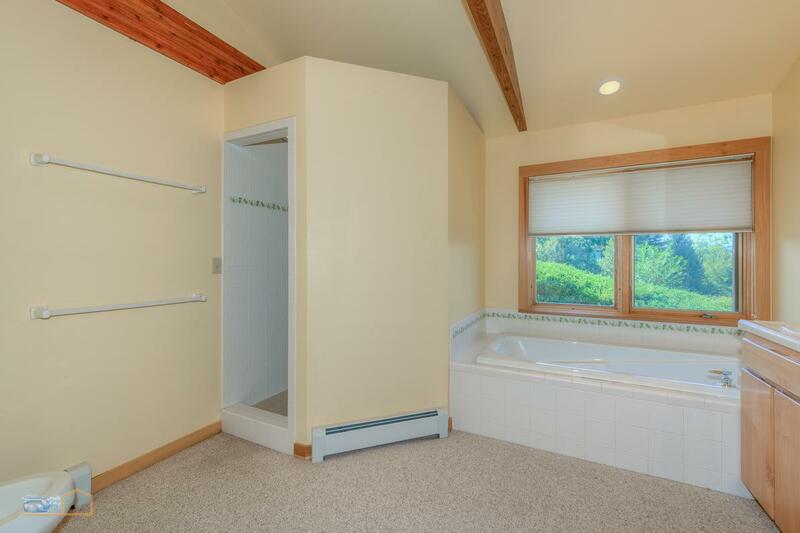 Architectural features separate the spaces. 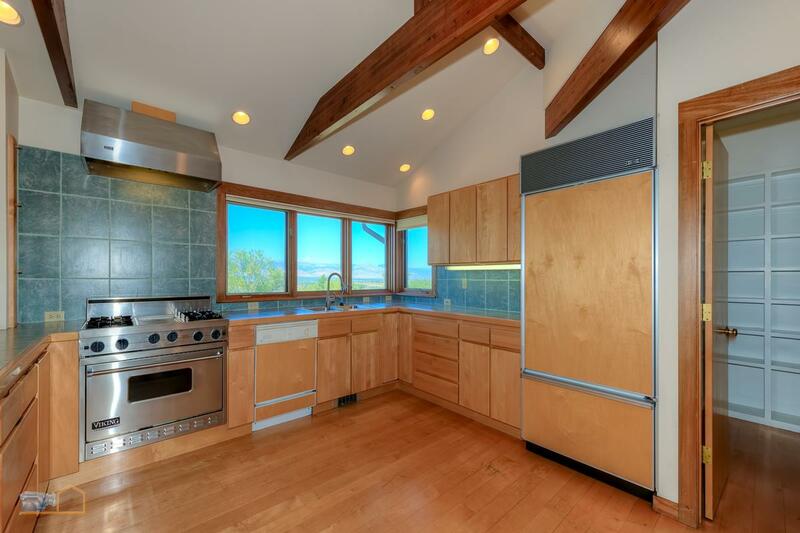 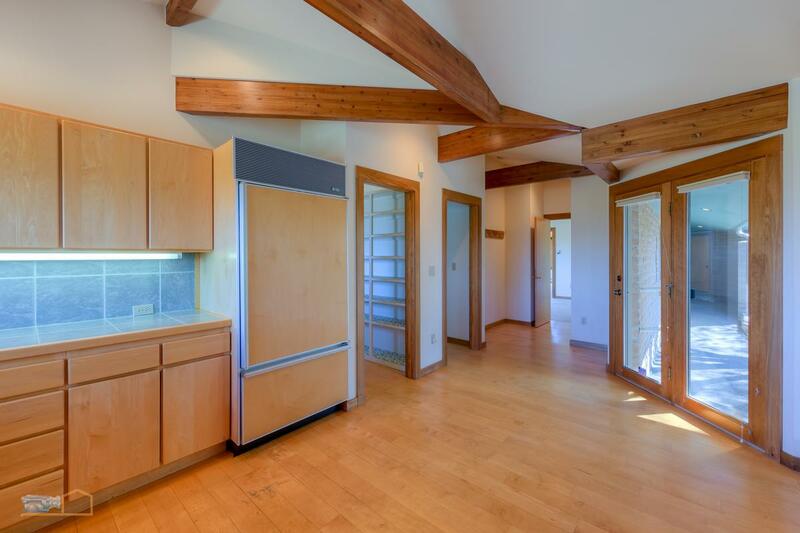 In the kitchen, note the Viking Range/oven and hood, subzero refrigerator and again, the views. 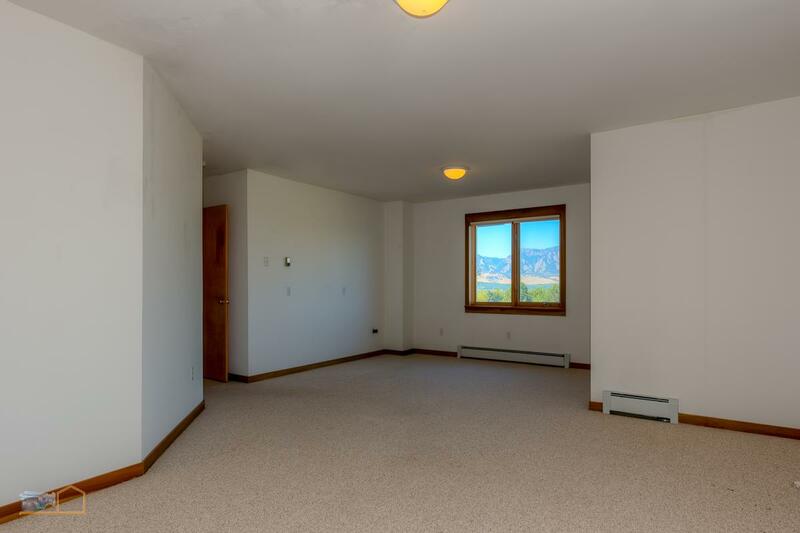 Off the kitchen and courtyard, you’ll find the first of two master bedroom suites. 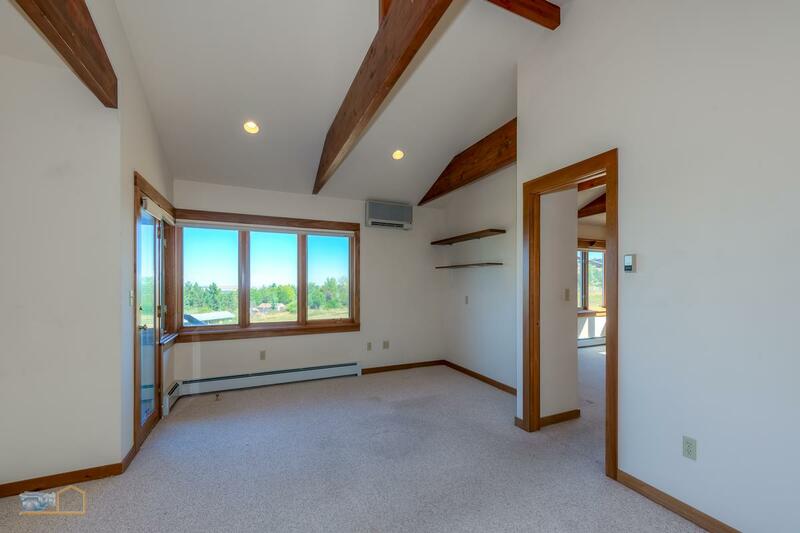 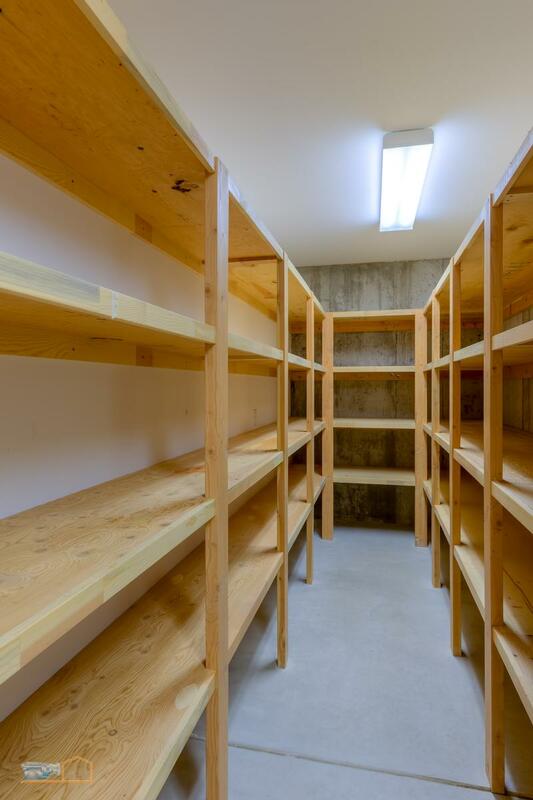 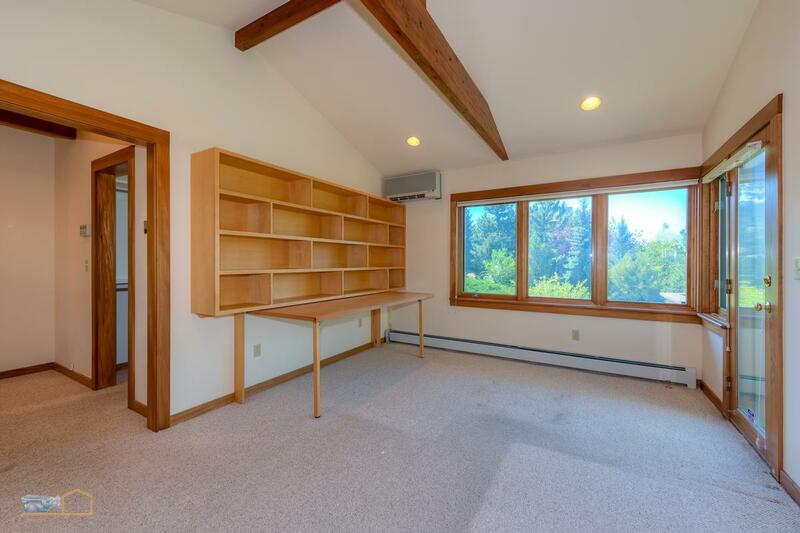 You’ll enter on a study with its own private deck, sleeping room, master bathroom and walk-in closet. 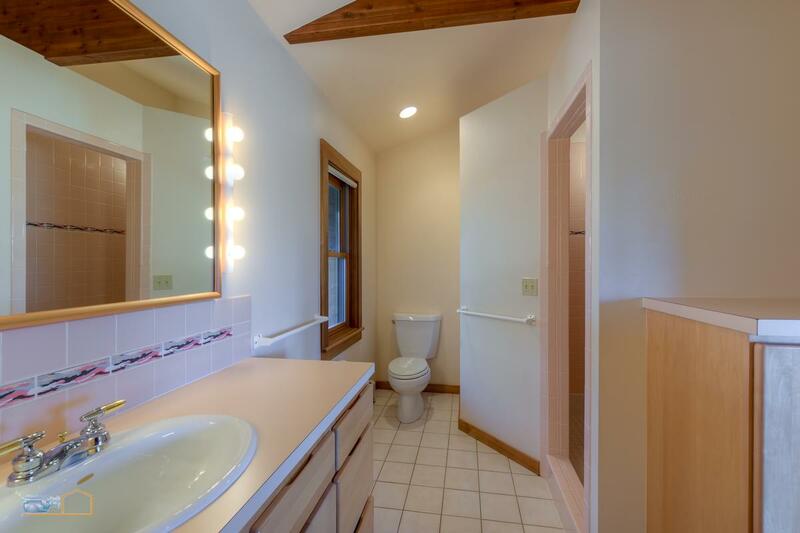 On the opposite side of the main level, you’ll find the second master bedroom, again with its own study, private garden deck, luxury bathroom with spacious soaking tub, separate shower, a bidet and walk-in closet. 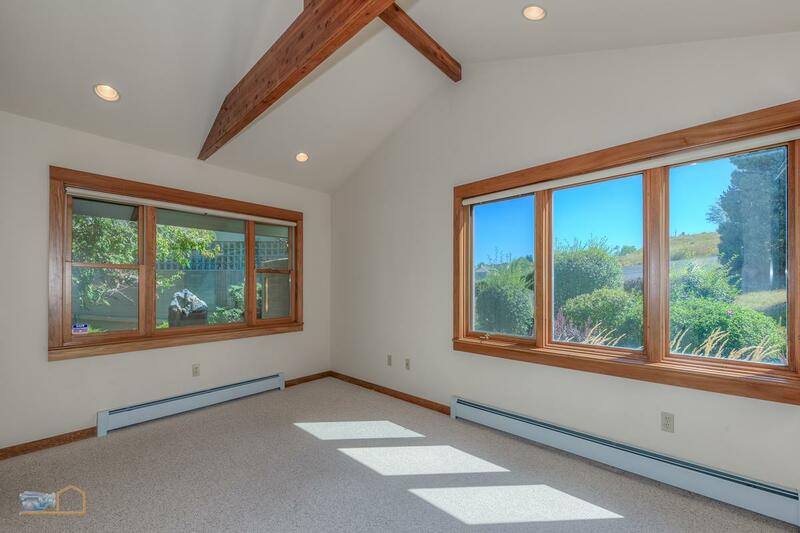 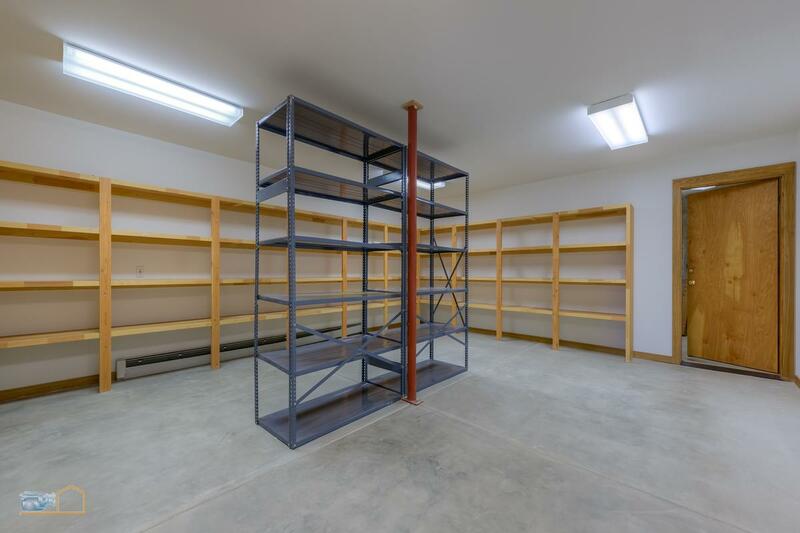 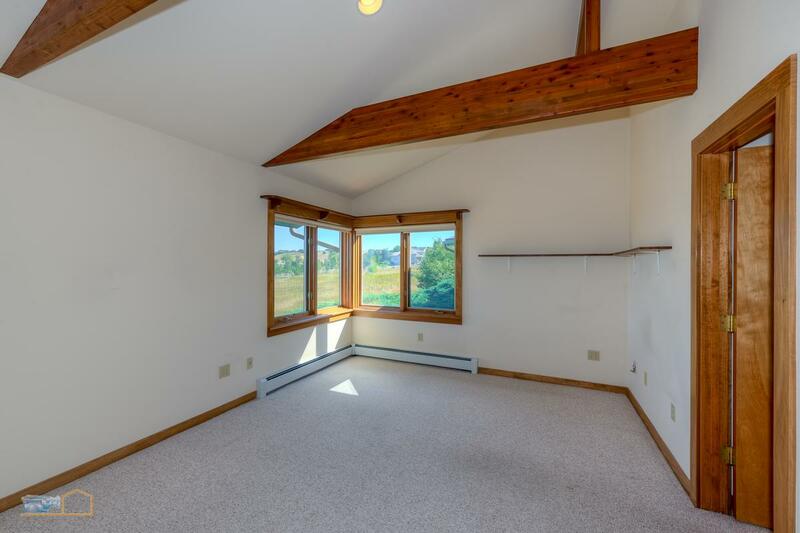 Barn, four-car garage and all the room you need to feel at home.